Thanks to shopping cart solutions like WooCommerce, setting up an online shop is not too difficult nowadays; however, managing one’s store can turn into a much more complex task than anticipated as the business grows. Many store owners try to balance their time and effort between the brick-and-mortar store and the online shop, and the latter usually requires more attention and more work, especially when it comes to order and inventory management. As online sales increase, many issues are likely to emerge, but few sellers are familiar on how to deal with them efficiently. Let’s discuss some of the most common challenges sellers encounter when managing a store on WooCommerce. WooCommerce is a widely popular eCommerce plugin for Wordpress that offers you the opportunity to sell online and boost your sales. Why do people choose it? Simple. It gives you full control over your eCommerce site, it’s affordable, you have a variety of design themes to select from, and there are thousands of available plugins and extensions that help expand the functionality of your web store. Opening a WooCommerce online shop is relatively quick and easy, provided you allocate some time to set it up. Ongoing work is needed as well once the shop is running, such as inventory control and management, order management, shipping, refunds and so on. Let’s take a closer look into the typical challenges an online shop owner faces when dealing with WooCommerce. We’ll then look into the solutions to handle things more efficiently and eliminate some of the difficulties encountered. Most business owners and ecommerce managers face some difficulties on their side of things. These typically include too much manual work to add data in the back-end, not getting accurate inventory control, syncing and reporting, and problems related to order management. If your ambition to grow your business includes multi-channel selling, you need to make sure you choose the most cost-effective approach to achieve your goal. Make sure you update your theme and your plugins – WooCommerce creates better and stronger updates based on these hacker attacks; having your site up-to-date protects you against various malware. Protect your admin access to WooCommerce – this is a key point for your website’s safety. Install CAPCHA on your contact form – Install a web plugin to sure you are protected against automatic attacks. Protect your login credentials – create a strong and complex password that’s hard to hack. Use a password manager to memorize your password in a safe environment. Install a plugin to help you limit the amounts of times someone might try to login. Use 2FA authentication for all your accounts – the two-factor authentication uses a second device (usually your phone) to make sure the correct person gets connected to the account. Use third-party plugins that are PCI compliant for your online payments. Manually adding products into the inventory can be a lengthy and may take up a lot of your time as well as create issues in your database. Try to automate product importing as much as possible. Website scaling means the ability of your shop to handle a high volume of orders and products when you start expanding it without causing issues. Test your store through various channels to see how it performs. The default search function for WooCommerce is not the best one - this is a well-known fact. Try some product search plugins from Wordpress to improve your website. Updating themes and plugins sometimes causes breaks in the front-end. There are a few golden rules to prevent that from happening or reducing the damages at least: always create a backup first, test on the staging site, always update the WordPress plugin and then the rest of the extensions and don’t be afraid to do all of this manually. Site speed is extremely important for your site as any second of delay could mean losing a sale, hence losing money. There are many tricks and tips that you can follow in order to optimize your site speed and make sure everything runs smoothly. Another important issue that comes up on a WooCommerce-based site is the pre-order limitation. WooCommerce doesn’t allow adding regular items to cart as well as pre-ordered items, so it’s either one or the other. Search engine optimization (SEO) is another important thing sellers need to focus on, as your site’s visibility and ranking ultimately affect your sales opportunities. You need to make sure the content you add to the site includes keywords that will attract visitors and you should also focus on updating the content as often as possible. There are two popular and effecting plugins that help with SEO: Yoast and All in One SEO Pack. Software compatibility is another common issue with WooCommerce-based sites, especially third-party extensions. You need to make sure your theme supports the plugin or extension wanted, but it’s always better to look for extra features built by the same company, as they usually don’t have any conflicts with each other. WooCommerce Stock Manager – an open source software that allows you to control every aspect of your inventory and orders. ATUM – great plugin to manage your inventory. Integrate your point of sale with WooCommerce – Woo POS. Keeping up with the online shopping world is a challenge for business owners. However, nowadays this is slowly turning into a must. 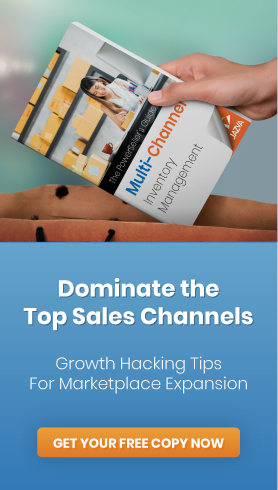 Multi-channel selling may involve a combination of your brick-and-mortar shop, selling through your website, and selling on a wide range of marketplaces. A website helps build your brand, while selling your products on public marketplaces such as eBay or Amazon can definitely put you on the map and bring you nice returns. A common question for business owners is “How much do I have to invest in this?”. The truth is, you need to spend money to make money. Inventory management becomes a huge challenge, now that you are selling on WooCommerce and other channels. Sellbrite is a well-known platform that lets you to automate item management, product syncing and shipping across all of your sales channels. It integrates with Walmart, eBay, Amazon, NewEgg, and Etsy. You can easily list your products on multiple channels, have them update automatically, and even print discounted shipping labels. Jazva is a high-volume solution that lets you synchronize your WooCommerce store with many other channels, including Amazon, eBay, Jet, Walmart, Overstock, and even retailer-operated marketplaces such as Wayfair, Home Depot and Target. WooCommerce inventory and orders are streamlined into one central place, so you always have control over your stock and listings. You can set up variation listings, print discounted labels, and ship seamlessly through multiple warehouses, drop shippers, and even Amazon MCF. Discover the difference between Jazva and Sellbrite here. Zoho Inventory offers a great integration with Amazon, eBay, Walmart and Shopify. This tool allows you to sync your inventory, it generates automatic sales orders from the shopping channels, customers are added to your database after each order and the shipping information is saved to the marketplaces after the you create a shipment order for an online sale. The market has plenty to offer when it comes to enhancing your WooCommerce website and functionality. But when it comes to choosing a platform, you need to consider your business needs and customer expectations when weighing out your options. Like all the great ecommerce companies, put your customers first: deliver a great user-friendly shopping experience matched with excellent order fulfillment and customer service. Check out our Jazva-WooCommerce integration today!